Well, sort of. . .
Reclaiming clay is my least favorite job that comes with being a potter. Reclaiming clay is a process preparing scrap clay for reuse. 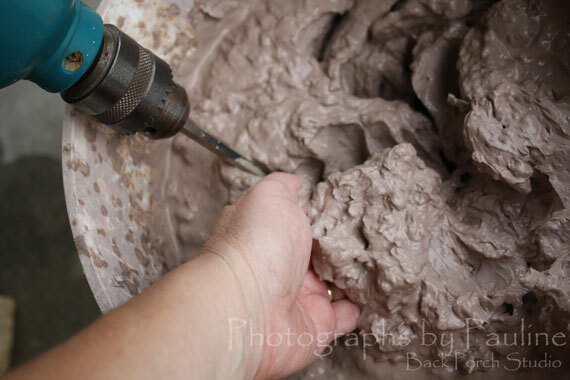 I have two 5 gallon buckets of scrap clay to recycle…by hand, a few pounds at a time. 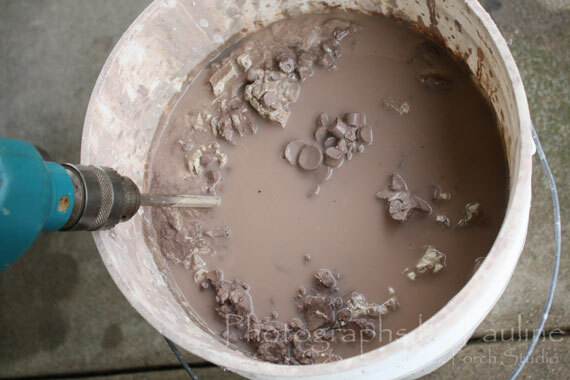 Scrap clay is collected in a 5 gallon bucket and allowed to soak in water until the clay becomes a nice even slurry. (Slurry: thick liquefied clay) From time to time, a drill with a paint mixer attachment is used to mix the scrap clay with the water. A bucket of slurry ready to be placed into canvas bags or old cotton pillow cases. I hang the bags of clay outside to allow excess water to drip out of the clay. 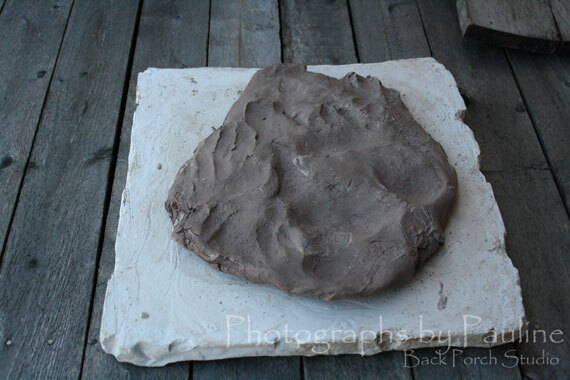 After one to two days of the clay slurry drip drying from the bags, I place the clay onto a plaster bat (block or slab). Here, the plaster will absorb even more water. Eventually, the clay becomes firm enough to pull it away from the plaster bat and wedge into balls of clay. Wedging clay is kneading the clay much like kneading bread dough. 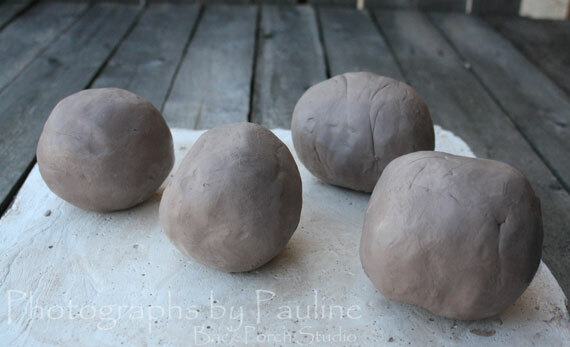 Wedging clay forces out air bubbles and distributes moisture evenly creating a smooth pliable texture. 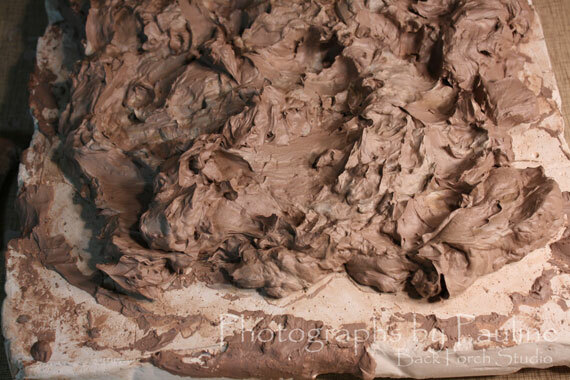 Though reclaiming clay is one of my least favorite jobs, it is very advantageous to recycle and reuse the clay scraps that tend to pile up in the studio. Twenty pounds reclaimed! Thirty more to go!